Mr C Steven Bailey completed his specialist trainging at Moorfields Eye Hospital, and was included on the Specialist Register in 1992. He has been part of the corneal and external eye disease and contact lens services at Moorfields since the late 1980’s. Mr Bailey has been in private medical practice as an ophthalmologist since 1983. Mr Steven Bailey is on the specialist lists of major health-care insurers both nationally and internationally (listed as C S Bailey). Mr Bailey began performing laser assisted refractive and therapeutic procedures in 1992. He trained in LASIK surgery in November 1995 and became one of the pioneers of this surgery in the UK. 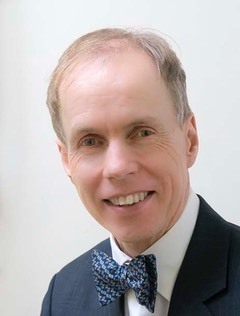 He was amongst the first eye surgeons in the UK accredited in the application of WavePrintTM wave-front guided laser treatments, and he has gained the Royal College of Ophthalmologists Certificate in Laser Refractive Surgery. Mr Bailey is also a highly experienced in fitting contact lenses for both straightforward and complex needs. Whether it is simple long or short sight, post trauma or post surgical visual rehabilitation, coloured lenses to disquise disfigured eyes or just providing the best solution available for those having problems with their lenses. Mr Steven Bailey was one of the early users of botulinum toxin (BOTOX™ Cosmetic) at Moorfields and he is very experienced in its application for medical as well as cosmetic uses. In his work as an expert witness, Mr Bailey reports regularly on cases of alleged medical negligence. He has lectured internationally and has taught on medical and optometric post-graduate training programmes. He has had various papers on human physiology and ocular medicine and surgery published in peer-reviewed journals. Jennie Bailey is the Practice Manager. She comes from a background of medical research at the Institute of Child Health. Jennie is available to help you with any inquiry you may have. Jennie will also assist you in getting reimbursement from your health insurers where applicable; she will advise you on the latest, the best and most effective cosmeceuticals and makeup on the market; from vitamin C to repair your skin, Revitalash to stimulate lash growth to foundations that protect your skin, making you look radiant and healthy. You can contact Jennie on 07973 691727.